This voucher entitles two people to an overnight stay in a Classic Twin or Classic Double room with a full English breakfast as well as a beauty treatment each from the choice of a head, neck, back and shoulder massage or a 30-minute reflexology treatment. 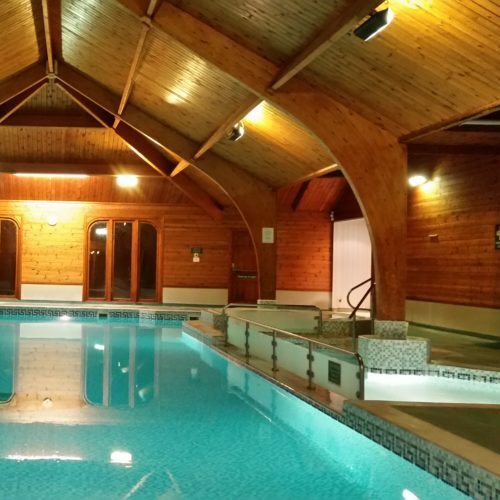 Also includes access to the Leisure Club which has a 15m pool, Jacuzzi, steam room, sauna and gym. Bathrobes, towels and slippers will be provided upon arrival. Deluxe Afternoon Tea is included and is served between 1pm and 4.30pm in the hotel. We highly recommend booking treatments and afternoon tea well in advance. Bookings are available all year except 24th to 26th December, 31st December to 1st January. Once booked, the gift voucher is not refundable and date changes will only be permitted 48 hours in advance.